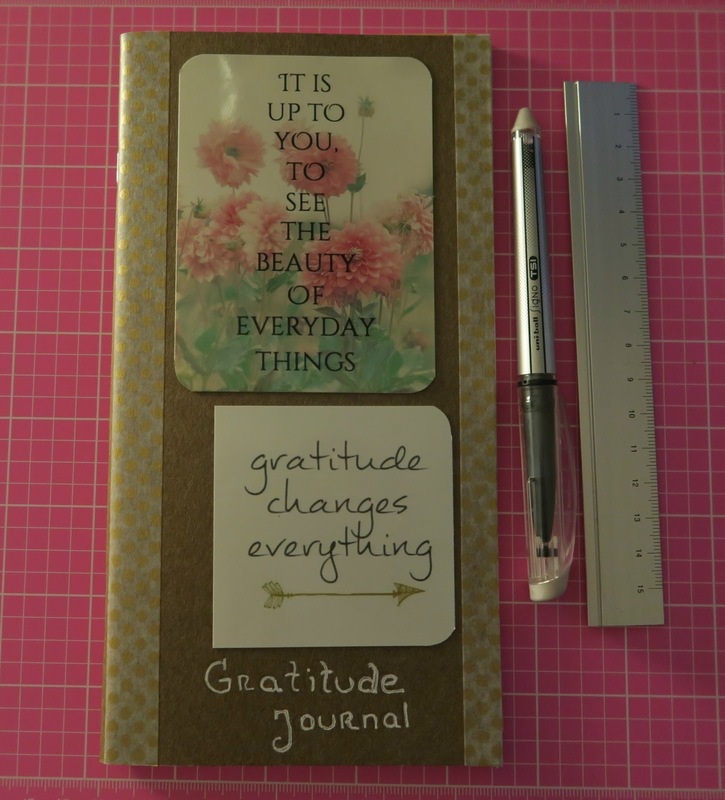 So I have been watching a lot of You Tube videos, and got really enthusiastic about a Gratitude Journal. I do appreciate a lot in Life, I make it a habit to see the positive, even in a really negative situation. Sometimes Life is hard, let’s admit it. But we have a choice, to concentrate on the negative and feel sorry for what happened, or after our ‘bereavement time’ that’s what I call, because we are only humans, and yes we have to feel sorry for a period of time, but then we have to move and face reality and move forward. Life is short, and every minute is so precious that sometimes, we forget to see the little details around us, that are so positive. 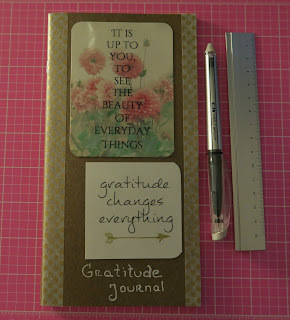 And this where the idea of the Gratitude Journal came about. After watching this video, I wanted to follow this idea. I want to record all the Simple Gestures that happen to me on a Daily Basis, I want to concentrate on positives in Life, those will be the moments, that make it to my Gratitude Journal. It's becoming so normal my distance from the blog, and no .... I don't want to stop it, at least not yet, no I don't want to give you more excuses. I could list you a lot of things I wish for 2016, I could but I won't bore you, it bores me too, believe me, all the intentions on the first day of the year. 2015 has been a year of thoughts, a lot of personal discoveries. I have been able to declutter quite a lot. A year that the word no, came out with ease, without worries of upsetting whoever. Today, I'm just so Grateful of everything, everyone that I met in my journey, even the not so nice ones. I've learned a lesson from all of you. When something bad happens to me, I look from a different angle, I see the positive, I look at what will I change from that moment on, I move forward much more certain of what I want or what I don't want. 2015 was the year that I finally learned to switch off, from the world, from noise, from the negative.I have learned to look after myself, but truly look after myself fully hearted. I enter 'my' world with such ease. Selfish? Probably .... but still .... one of the best feelings I have felt. For 2016 I just want to be Happy, Healthy and surrounded by all the Lovely Peolple that I have in my Life. Anything else, it's a bonus. I started, and I will show you later, but I wasn’t getting the vibes. If I don’t like it, and this is a great lesson, I learned with age, some might say, I just walk away, again, a lesson so hard to learn, but once you learn it, believe me it’s worth every single minute you battled to get there. In my case, this has happened with People and with Things. Why when Life is so short, do we bother? When we know is not leading anyway. Last night from 4 am, I just couldn’t sleep, first I was worrying about one thing, then with another, and you know what was really bothering me? The card was easy to redo the part I didn’t like and alter it. The beauty of this, is that with everything you do in Life you keep learning, and that, will never stop. So what I love to do then, is to watch You Tube, and just get lost, with the amazing artists that there are around the world. It totally relaxes me, I just learn so much, and then I just can’t wait to try. Obviously, we all have different styles, like different things, we’re all different. But how far can I get that messy? I don’t know. I’m a soft (colours) kind of girl, so I’m sure it will show in my work. A Gemini is always a Gemini …..
That’s what has been happening lately. As you know, I have a full time job, which in normal circumstances is very busy, related to holidays, you would expect these months to be full on, and they have been, more so this year. So when I get home, I’m exhausted, to be honest. Well, the ‘Other’ this time of the year, really suffers, because work really takes all my energy. And then the rest I have a few routines, being an organised person, I just love my small habits. Make sense, especially after a busy day. My ‘Other’ Life is just Wonderful, I Love it so much, is just relaxed and it’s exactly what I dreamed a few years ago, and in the end of the day I just want to make and live it to the full. I would say I’m quite professional in doing so. I live for the day, I Live for what it pleases me, and to those closer to me. I’m a Lucky Lady, and I feel blessed every day, for reaching this way of Life and enjoying it like I do. 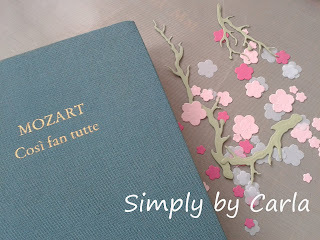 I’m grateful that after such a long time of not writing in my blog, I still have invitations, offers, which unfortunately now, I’m not able to take on, people still come to my blog every day and read it. It’s my plan to follow other routes in my Craft Journey. Yes you can tell that I’ve been watching a lot of You Tube, there are so many amazing Artists, in this World, and I get so inspired by them. I’m in the process of buying even more materials, so I can do what I really like, try new stuff, it’s just so exciting, by the way, Amazon loves me. And once again, it’s definitely my goal, to come here more often. Have Fun and Enjoy every Single minute of Life!!! This SU embossing folder have to be in my top list since the launch of the new catalogue. 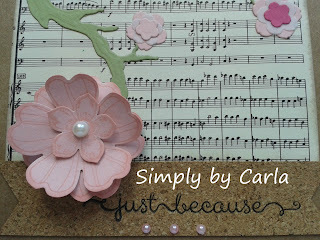 And the New Catalogue from Stampin Up is out. 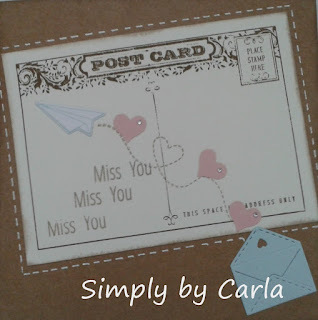 I have been a bit slow, in putting my order, too many things at the moment, so it’s not surprising that when I need to make a card … I have to be extremely creative. And this one is for you, the people that follow me here, in Facebook or Instagram, being the latter the one that gets updated more often, because it’s quicker. 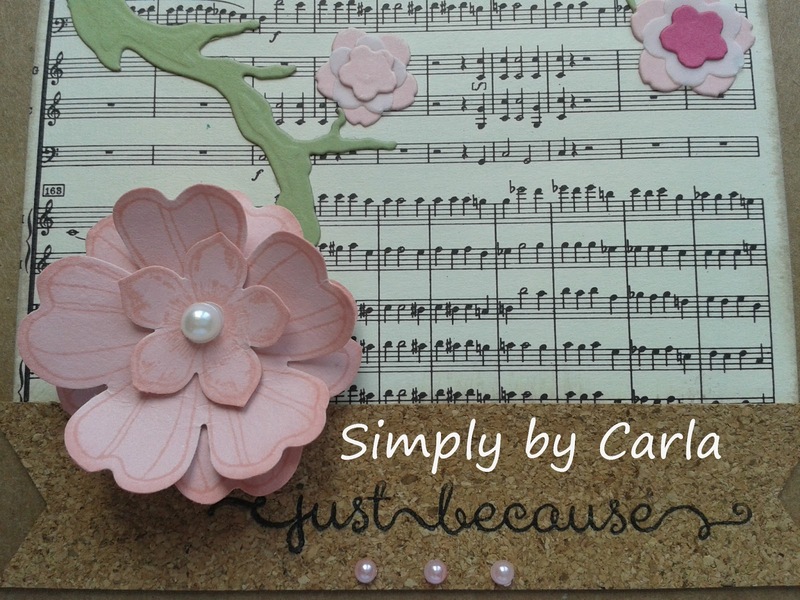 The new Stampin Up Catalogue has launched and it has some lovely things, go and check it if you don’t believe me. I want to say a Big Thank You, for using my shop, some of you are not leaving any contact, I think it does that by default. If you have any questions, where I might be able to help, feel free to send me an email. It’s fun, let me tell you. Meanwhile, I have been playing, my new Craft Room, is very distractive … that window facing the garden this time of the year…. not sure if it was a good idea. I’m easily distracted but it’s great!! Anyway I have been playing with my ‘Crazy about You’ bundle and that new Banner Triple Punch. 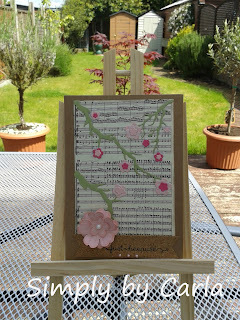 Next week, it’s Blog Hop, can’t wait. I have been playing …. 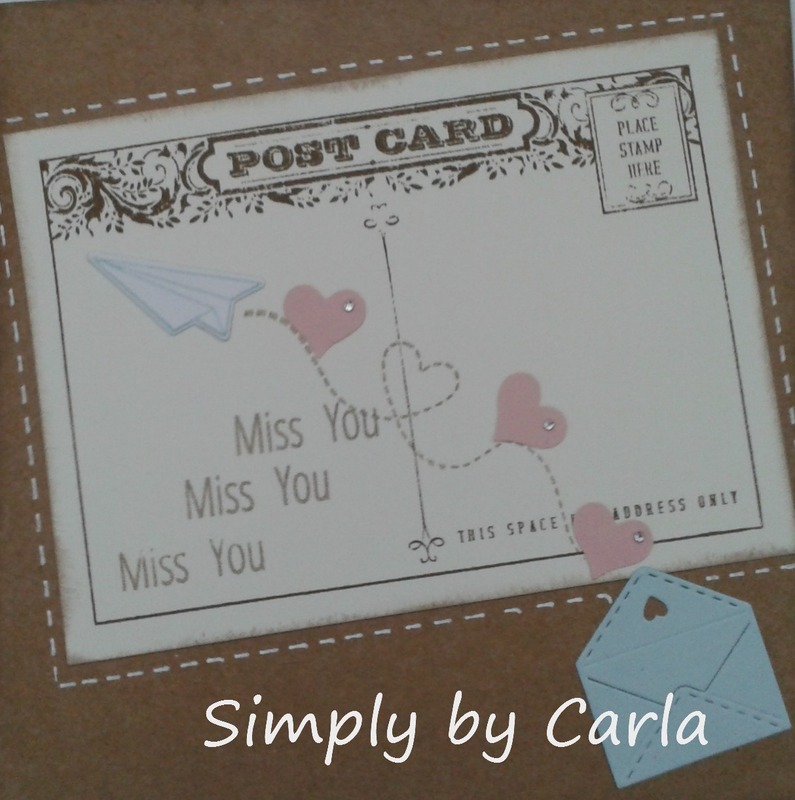 Well as I keep testing and practicing new techniques, new materials and new stock, I have to say I never thought that card making could be so addictive. During Spring/Summer time is more restricted, there’s always more time spent in the garden, with friends. Work is very busy at the moment, so any spare time is just so precious, and every day I just feel so blessed, so thankful that I can create something that gives me total pleasure. I don’t do as much as I would like, I take too much time, creating, thinking and putting them together. So really I should do something about it.